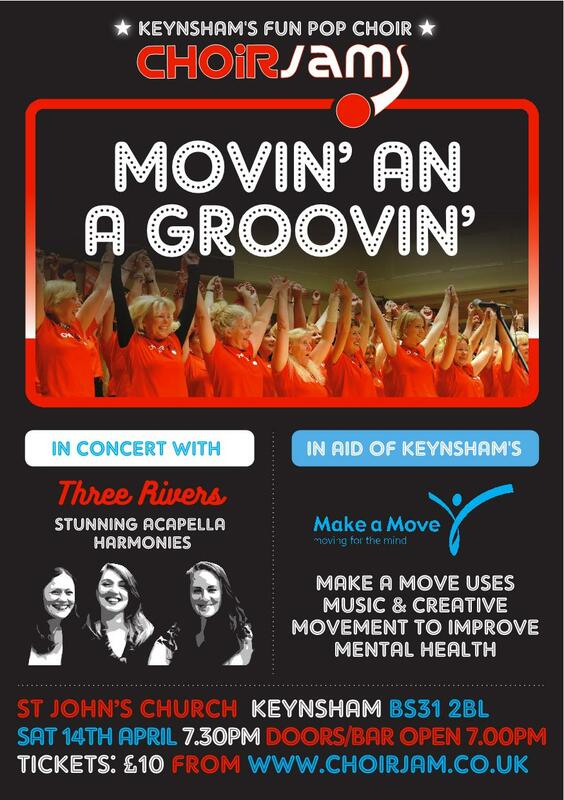 On Saturday 14th April, ChoirJam pop choir and acapella group ‘Three Rivers’ will perform together in a unique fundraising concert at St John’s Church, Keynsham, in support of local charity ‘Make A Move’. Click HERE for tickets. The work Make a Move does is far-reaching. 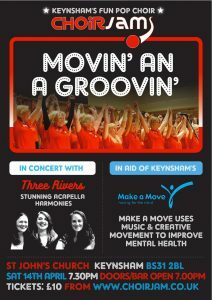 Through music and creative movement, the Keynsham charity helps improve the mental health of many people from children, mums and older people to businesses, organisations and the local community. 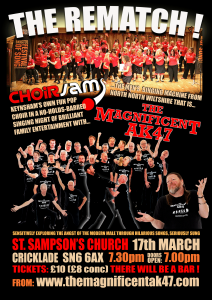 The concert promises to be a fun, lively and upbeat evening featuring stunning a cappella harmonies, a live band and quite possibly dancing in the aisles! 8.50pm. The concert ends at 9.45pm, with a retiring collection for Make a Move, and the bar will remain open until 10.30pm. This entry was posted in Events on 13/03/2018 by emzzzzz25. 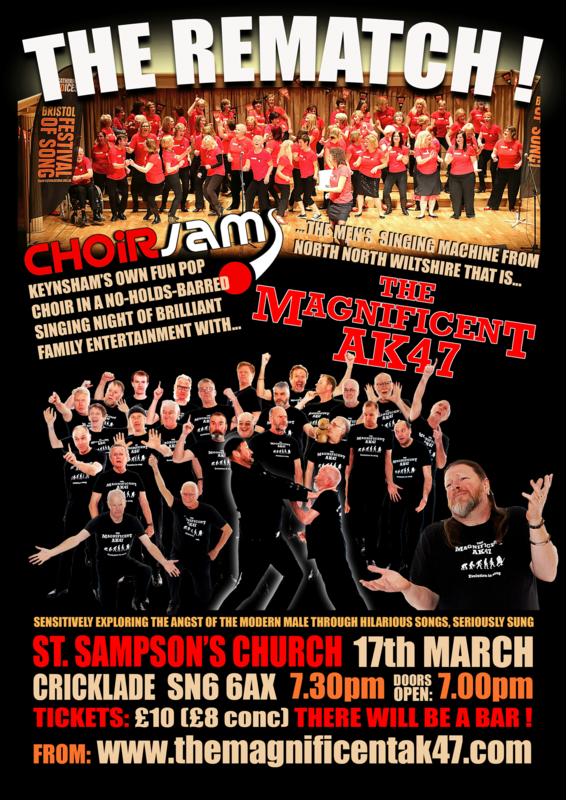 We’re teaming up once again with The Magnificent AK47 men’s choir after they made the long, arduous journey over from eastern parts last year. Lowering the tone with their deep, Georgian-inspired harmonies and serious silliness, those Magnificent Men of Ashton Keynes and their multi-hatted singing machine will be taking to the stage to prove they can truly live up to the claim of perhaps being the best all bloke singing troupe ever to escape from the depths of North, North Wiltshire. This time we’re on neutral territory in St Sampson’s handsome church in Cricklade. There will be a bar, lots of blokes with hats, us and the amazing CJ band! What’s not to like? This entry was posted in Events on 09/03/2018 by emzzzzz25. BBC Music Day 2018 – ChoirJam in the Colston Hall foyer!